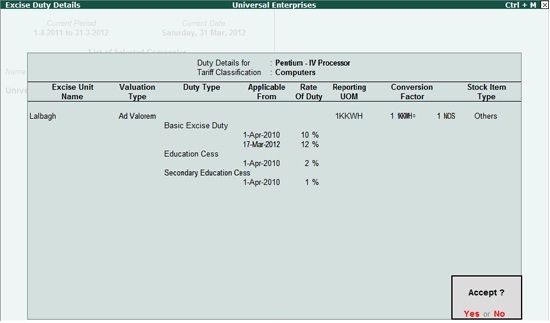 Many ApniTally customers are facing problems in Tally.ERP 9 due to changes in tax rate done in Union Budget 2012-13. Some changes have immediate effect and some are to be done on April 1st, 2012. Here is the solution for immediate changes so that day today working can be done. The major changes which has been done are as follows. Excise rate has been changed from 10% to 12% which is applicable from immediate effect. Service Tax has been changed to 12% from 10% which would be applicable from 1st April, 2012. 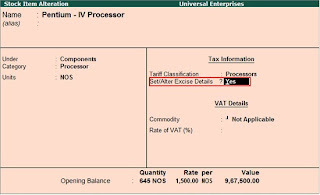 Individual tax slabs has been changed which would be applicable from 1st April, 2012. Go to Gateway of Tally -> Inventory Info -> Stock Item -> Alter. Here change Set/Alter Excise detail to Yes and do following modifications. 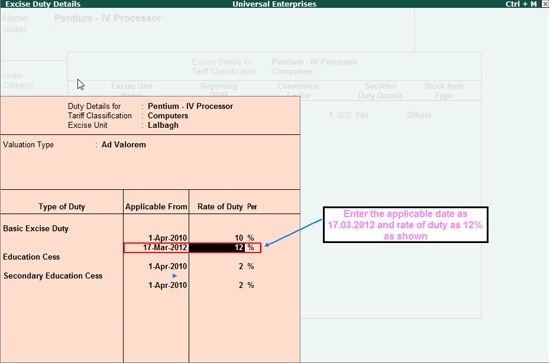 Excise Duty detail screen would come and change the rate of basic excise duty to 12% and add date 17.3.2012 as date applicable from. Press enter to accept and the item excise rate is updated successfully. Now these steps has to be done on all items which are excise goods. If all your items are excise goods then one more step would change all item rates. 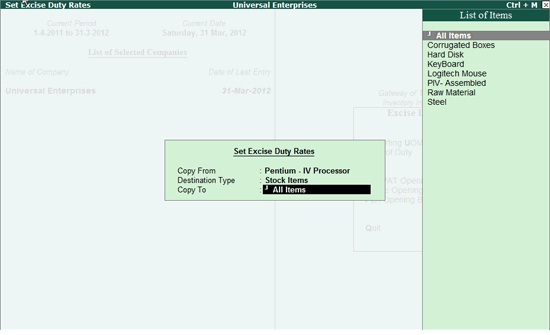 Set Excise rate screen would appear. 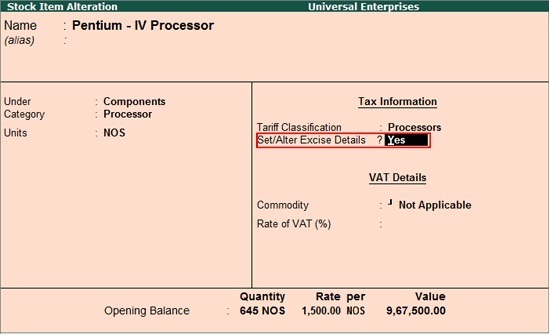 Here in first field Copy from select the item whose excise duty you have changed just before. In Destination type select Stoke Item and in Copy to field select all Item. See the screen Below. Press enter to select and another screen would appear. 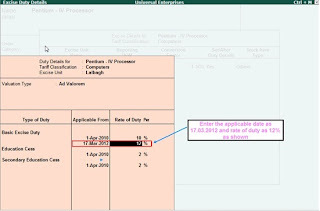 Note that in that screen the date applicable 17.3.2012 is displayed. Press enter to accept Proceed to accept rate change. 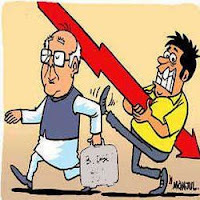 Remaining changes related to Service Tax, Income tax, TDS and TCS would be done on 1/4/2012 when new update would be available.